Violent and dangerous places? How do prisons come to be the way they are, and how can that change? The first annual report from Peter Clarke, the new Chief Inspector of Prisons warned of a ‘grim situation’ in England and Wales, with prisons ‘unacceptably violent and dangerous places’. Nick Hardwick, the outgoing inspector had previously described the prison system as being in its worse state for a decade. Beyond these ‘violent and dangerous’ prisons, these are turbulent times. New Prime Minister Theresa May removed Michael Gove as Justice Secretary, appointing Liz Truss in his place. The departure of Gove, following his prominent and controversial role in Brexit, has drawn additional attention to the criminal justice system, and its challenges in light of this new leadership. Truss says she is under ‘no illusions’ about the scale of the challenge. Before the EU Referendum in the UK Gove, and the then-Chancellor George Osborne, unveiled a major prison reform programme. It included plans for 9 new prisons ‘fit for purpose’ in the 21st century, and closure old Victorian city centre prisons, selling sites for housing. This was a high-profile policy, championed by then-Prime Minister David Cameron, in the first speech on prison reform by a PM for twenty years, and in the Queen’s Speech, as he announced the ‘biggest shakeup of Britain’s prison system in more than 100 years’. In the post-referendum turmoil, we wait to see how policy will shift, and how much of this momentum will be maintained. Closely tracking the prison reform programme as it unfolded in parallel with our ESRC-funded project on prison design, we have explored the significance of prison building in relation to geographies of architecture in our recent Transactions of the Institute of British Geographers paper. The paper draws attention to non-iconic, non-utopian, banal buildings – new prisons. It argues that by attending to ‘signature’ buildings, architectural geographies has overlooked the critical and under-explored circumstances and contingencies of more quotidian constructions, neglecting the mundane processes of procurement, commissioning, tendering, project management and bureaucratisation. Advancing scholarship in carceral geography by considering the processes and assemblages that shape (what will become) carceral spaces, it focuses on what happens before a building takes physical form. The paper seeks to move architectural geographies more meaningfully towards a consideration of the bureaucratisation of architectural practice, as underexplored aspects of building ‘events’. It calls for geographers to pay greater attention to the banal geographies of architectural assembly, and to the banalities of production more widely. There was much to be hopeful about in Michael Gove’s prison reform programme. There was a sense in which Britain had a once-in-150-years opportunity to design a new prison estate with environments that are safe and secure but also sensual and stimulating, for both inmates and staff. In detailing how prisons have been built up to now, our paper pointed out the opportunities that could be presented by working closely with architects to achieve these aims. There is policy flux around Brexit, and economic uncertainty is anticipated, and with our prisons ‘in crisis’, the resolve of government to follow through on prison reform will be tested. 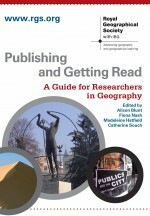 About the authors: Dominique Moran is Reader in Carceral Geography at the University of Birmingham. Jennifer Turner is a Post Doctoral Research Associate in the School of Applied Social Science at the University of Brighton. Jennifer is also an Honorary Research Fellow in the School of Geography, Earth and Environmental Sciences at the University of Birmingham. Yvonne Jewkes is Research Professor in Criminology in the School of Applied Social Science at the University of Brighton. Prison Spaces: Fear-suffused environments or potential to rehabilitate? This entry was posted in Transactions of the Institute of British Geographers and tagged Architecture, building events, carceral geography, England and Wales, Prison, regulation on September 5, 2016 by RGS-IBG Managing Editor: Academic Publications.